I’m Mrs Pether and I am the Headteacher here at Dean Field Community Primary School. I started my teaching career in 2005 in a school not far from here so I am pleased to be back where my career started and to once again be contributing to the community of North Halifax. I then spent 8 years as Deputy Head at Beech Hill School (the lead school in the Family of Learning Trust) supporting the school to eventually achieve Ofsted Outstanding in 2016. I have completed several National College leadership courses which led me to complete my NPQH in 2014. In my career I have had various roles from English Coordinator, Investors in People Lead, Attendance Coordinator, School Council lead, Safeguarding Lead and I eventually became the Head of Lower School at Beech Hill. I was appointed Headteacher at Dean Field after it joined the Family of Learning Trust in February 2018. I am grateful to be working with such a dedicated and enthusiastic team of colleagues who together will ensure that the pupils of Dean Field receive the best quality education. 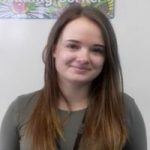 My name is Miss E. Clay and I currently teach in Poland class (Year 2). This is my second year of teaching at Dean Field as I began my career here as a Newly Qualified Teacher in Year 4 last year prior to the school becoming an academy. Although I have not been teaching for long in comparison to some of my colleagues, my teaching degree specialised in Early Years and Key Stage 1, therefore I am looking forward to teaching Year 2 this year and seeing them through their SAT’s which will be very rewarding for me. I am lucky to say that I will be leading Maths this year at Dean Field. Subject leadership is the next chapter in my career and I am ready for the challenge! I feel lucky that we have our partners from Beech Hill school to help us on our journey of improvement over the next few years. Aside from teaching, a passion of mine is animals which I enjoy bringing to the classroom where possible hence recent trips to conservation parks and aquariums in line with the children’s learning. I have 2 guinea pigs at home named Lenny and Noel which are really special to me. I’m Mrs Redfearn, the year 4 teacher. I teach India class and I absolutely love it! I came to Dean Field at February half term just for 6 weeks. Something rather special happened when I came here and I found I didn’t want to leave. I’ve been a teacher for around 8 years and before that I volunteered in primary schools. Some of my most memorable moments include making bread with a year 2 class. Things got very sticky at times with that task! I also took part in a special reading scheme which helped to boost young readers. I have to say this is a part of the job that gives me most pleasure to know I’ve helped someone to read. Early on, I worked in reception class and I’ve lost count of the number of models I’ve helped glue together and the funny dressing up outfits we played with. I’ve worked in a few different schools which is really interesting to see how things are done around Yorkshire. At Dean Field I lead sports and health which ties in very well with my interests. I’m really keen on keeping myself and my family as healthy and active as we can be. I’m pleased to be able to look after this at work too for all the children in school. Even the adults try to be healthy (I have a special plan that I haven’t told them about yet though). In my spare time I do as many fitness activities as I can and I especially love different types of dance. I love cycling with my family in the holidays when we go along the East coast cycle path. It’s exhausting but the amazing views make it worthwhile. When I get time I like to relax with a favourite book. Interesting fact: You may be surprised to hear that when I was a student I did a parachute jump. It was fantastic! 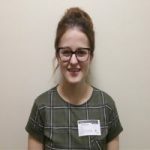 Hello, my name is Miss Fitzpatrick and I am an Early Years Practitioner in Nursery – Antarctica Class, I have worked at Dean Field since April 2018. Before joining the team at Dean Field, I was the Deputy Manager and Safeguarding Lead at a Pre-School/Afterschool Club, working with children between 2-11. My childcare career began in 2010 and I have enjoyed every minute, it is the most rewarding job, knowing I am helping children achieve their full potential. Each child is unique and has their own personality, every day is different with lots of fun and learning! I take pride in the children’s accomplishments, as they master new concepts (when they said “I can’t do it”) and their inquiring minds expand with new information and experiences. 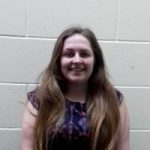 I am currently studying Early Years BA (Hons) at Huddersfield University, I attend university once a month on a Saturday. When I aren’t studying, and my head isn’t in a book, I enjoy keeping fit and exercising. I am a member of a running club, ‘Sowerby Bridge Snails’, we meet up and run twice a week, its great getting to know new people and also great for well-being! I enjoy working here at Dean Field, whilst beginning my teaching career, it’s amazing to work alongside supportive staff and also teachers who are passionate about their work! My Mum is the Nursery Manager at Beech Hill, she is a great role model and I love pinching her ideas! 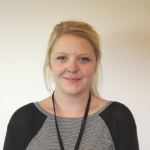 Hello, my name is Miss Vickerstaffe and I am the Deputy Headteacher at Dean Field. I started working at Dean Field in April 2018 not long after the school became part of the ‘Family of Learning Trust’. Initially I supported Mrs Pether at implementing changes in the school ensuring all relevant teaching, learning and assessment systems were in place. I also spent a great deal of time helping to tidy the school environment, for example, sorting through the mountains of books the school has and setting up a lovely new library space. I currently teach in Class China (Year 1) alongside Mrs McKnight. We have particularly enjoyed setting up a wonderful classroom provision that supports the children’s transition from Reception into Year 1. We are also looking forward to teaching the new curriculum topics to the class and hope they find them just as exciting as we do. One of my school responsibilities is overseeing the Early Years Foundation Stage. I am looking forward to developing the outdoor area along with Miss Dawes and Miss Fitzpatrick. We are also working hard to ensure that there is a big importance placed on the teaching of early reading in Nursery and Reception through phonics. I also lead parental engagement, and I am looking forward to organising the various parent activities across the school year and introducing some new events, like the Story Cafés. Amongst my other duties, I work with the new School Council to listen to the children’s opinions of how to improve the school and build on our current successes. I started my career as a Nursery Practitioner and enjoyed working in schools so much I decided to complete a 3 year teacher training course. I was then employed as a Reception teacher at Beech Hill School where I worked for 9 years becoming the Early Years leader and then Assistant Headteacher. I was born in Halifax and all my family still live in Halifax, however, in February 2017 I moved to Harrogate in North Yorkshire. I briefly left Beech Hill to work at a school in Leeds and then returned to working in Halifax, this time at Dean Field. I love coming into work each day, despite the long drive from Harrogate. I really enjoy working in the school and seeing the impact of the improvements already made. I’m looking forward to seeing what exciting opportunities the new academic year brings. If I am very lucky, Mrs Pether might let me bring in my cheeky puppy Ralph to visit! My name is Judith Burke and I am the Year 6 class teacher at Dean Field. My teaching career so far spans twenty years and I joined Dean Field in the Summer Term of 2018 when I became the Year 5 teacher of the children who are now in my Year 6 class. 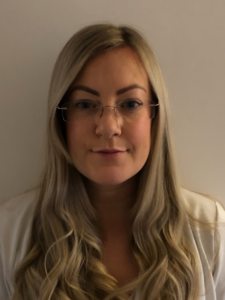 The majority of my teaching has been in large Bradford primary schools but I have also spent time working in Calderdale, having taught English at the Halifax Academy for five and a half years. This was a wonderful experience and greatly enhanced my knowledge and skills to teach the Upper Key Stage Two curriculum to our older pupils. Since joining Dean Field I have become SENDCo and am, at present, studying for the National SEN Award through Edge Hill University. It is my aim to ensure that our SEN provision is outstanding and will enable all of our pupils at Dean Field to reach their full potential, whatever their needs might be. I am also leading our Key Stage Two team, working under the guidance of our Senior Leadership Team to ensure consistency in teaching and learning through Years 3 to 6. Since joining Dean Field I have become extremely fond of all of our children and we are nurturing a positive and resilient ‘can do’ approach amongst staff and students alike. To me, Dean Field has a real ‘family feel’ and everyone is working hard to deliver the best education for our pupils. It is wonderful to be part of such a caring school community and I can’t imagine wanting to teach anywhere else! Being the mother of four children and grandmother to five I understand how important it is for parents to want the best for their children. All of this, my family and my teaching career keeps me extremely busy but I do enjoy life outside of school! I love films and enjoy visiting the cinema. I am an avid reader and would always promote the importance of reading to children. I love to swim and try to fit this in during the week! Hello, I am Miss Dawes. I teach in Mexico, which is our Reception class. I have been teaching since I graduated in 2016, almost two years. I have taught in Year 1 at Cliffe Hill Primary School and in a mixed Year 3/4 class at Shelf Junior and Infant School. I have been at Dean Field since January 2018 and I have taught in Nursery and now Reception. I am lucky enough to lead ‘The Arts’ at Dean Field. I am passionate about education of the arts and allowing children to showcase their talents, as well as developing their confidence and making new friends by participating in these activities such as singing club and samba drumming! I lead a weekly singing assembly, which is something I look forward to every Tuesday, because it allows me to hear us sing as a whole school. My favourite song to sing in assembly is ‘A Million Dreams’ from The Greatest Showman. I really enjoy teaching in Early Years and Key Stage One, because I enjoy teaching children the skills they need to succeed in life. Early education is so important and allows me to . I really love working at Dean Field, because every member of staff here is committed to ensuring that every child gets the best education possible. Dean Field has given me the opportunity to lead a subject I am passionate about and I always come into work with a smile on my face! In my spare time I enjoy spending time with my two dogs, Bobby and Pipkin and visiting my family. I also love baking and fancy myself as the Mary Berry of Dean Field! I really enjoy working at Dean Field and being part of a dedicated and caring team of staff. My name is Miss Hussain and I currently teach year 3. This is my second year working as a teacher at Dean Field School. 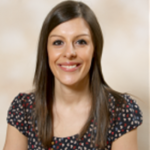 I am a recently qualified teacher and I trained at the University of Huddersfield. I knew I wanted to be a teacher when I was just eight years old! So here I am at Dean Field, living the dream! Over the course of my teacher training I worked in a few schools around Huddersfield but I spent most of my time working in schools in Halifax. I have worked in schools in Illingworth and Bradshaw but Dean Field has been the best by far. The amazing children, families and staff make Dean Field an enjoyable place to work. I relish every minute of the day as there is no better feeling than knowing I have made a positive impact on a child’s education. I lead R.E and SMSC (social, moral, spiritual and cultural development) here at Dean Field and I am a strong believer that including these aspects into education, will prepare children for life in modern Britain. Outside of school I enjoy going to see films (especially Disney films), taking long walks and some retail therapy! I enjoy reading mystery novels and other stories based on real life events. My favourite animals are pandas, narwhals and flamingos! I also have an interest in photography and I like taking photographs of different landscapes. My name is Hayley McKnight and I am the Year 1 class teacher at Dean Field alongside Mrs Vickerstaffe. Being part-time, I have the pleasure of working on Wednesday, Thursday and Friday here at Dean Field and spending precious time on Monday and Tuesday at home with my seventeen month old son. I joined Dean Field in 2010 as a newly qualified teacher so the current year one class are my eighth class here! I have taught in both key stage one and two and gained a wealth of experience in many different roles across the years including various subject leadership, key stage leaders and Assistant Head. I have also completed a secondment year as Assistant Head at Ash Green in Mixenden , leading the pastoral team which was a wonderful experience and greatly enhanced my skill set. I am currently the curriculum leader at Dean Field, supporting the class teachers to teach a broad and balanced curriculum full of exciting opportunities and enjoyment for the children including trips outside of the classroom. Having worked here for eight years, I am team Dean Field through and through! I love working with such wonderful, creative children and their kind families. I am lucky enough to have taught many siblings and cousins here over the years and have always felt very welcomed by the local community. Outside of school, I love spending time with my family. We enjoy visiting the park, walking in the countryside and day trips especially to the farm. I am passionate about travelling and seeing new places so I especially enjoy our holidays together. I am Miss Lopuszniak and I am the year 5 teacher (USA Class). I have been teaching for three years and this will be my second year at Dean Field. I have worked in various others schools around the Halifax area including, Sowerby Village, St Mary’s and Todmorden C of E. I have loved every year being a teacher and I have taught in every year except year 4, lucky me! I lead Science & Technologies here at Dean Field which means I love to hear all about the science we are all learning within school or at home. If you have any science facts or questions, please come and ask me. Dean Field has been my favourite school to work for because of the lovely children I get to see every day. I enjoy watching them grow and become more independent each day. Out of school I enjoy going bowling, going to see films at the cinema and seeing different live bands. I love all animals and visiting zoos. My favourite animal would be a fishing cat or a red panda (they are very cute). I am fortunate enough to have a cat called Sugar who is a Domestic Short Hair (popular cat breed). During the holidays I love to visit Cornwall and me and my family stay in a town called Polzeath which is famous for surfing. If you see me around school be sure to come and say hello!